We would all probably choose to pay for our car with cash but for most people that just isn’t an option. Sometimes we need to get car finance to buy our car and there a number of car finance packages available. These include deals from the showroom where we buy the car, a loan from the high street bank, a special car loan from a specialised company and so on. Whatever the car credit you choose always make sure you do your research first to make sure that you get the best possible rate. So lets imagine you have brought a new car from a car dealership with a car loan. You have had your car for around a year when you are involved in an accident and your car is written off. The accident was your fault, so you may be surprised to find that the car insurance you have is not enough to cover the whole cost of the car finance. A lot of people mistakenly assume that their comprehensive insurance package will cover the entire cost of the car, but it doesn't include the cost of the finance. This is a very tricky situation and would leave you in a difficult position. Not only have you had your car written off, the insurance company won’t pay for what you owe on the car finance. If you aren't able to make up the shortfall then you could be sued by the car credit company and this will seriously damage your credit score. There are ways though that you can avoid this situation. 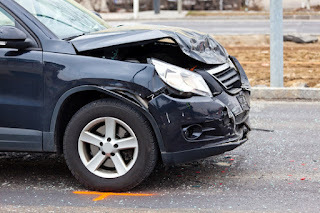 Gap insurance is available for people who might find themselves with this scenario. This will cover the difference between what your car is physically worth to the insurance company and the amount outstanding on the car loan. This insurance isn’t widely advertised but can be a godsend for people who buy cars with car finance and then either get their car stolen or written off. It means that you won’t find yourself out of pocket as the Gap insurance you took out will cover all your financial losses. Another way you can try to protect yourself is to get PPI, payment protection insurance. This will cover you if you are unable to work due to the accident and so are unable to pay your car loan. Getting car finance is a good idea to enable you to buy the car you really want but you should always be aware of the pitfalls including what happens if you have an accident in a car you are buying on finance. As explained however, even in this case there are ways to avoid losing out financially.